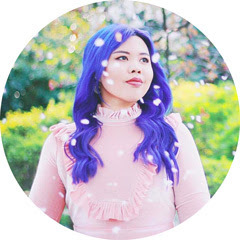 In light of my first ever Lush bath haul last year, I'd been contemplating which bath products to try out next when, upon scrolling through my instagram feed one night I came across a picture one of my blogger friends posted of the Unicorn Horn bubble bar. My first reaction was something along the lines of 'Whoaaaa what is that magical rainbow object, I've never seen it in Lush before!' Lo and behold I found out that it was part of their Valentine's Day collection so the very next day I popped into my local store to pick some bits out. I've had their Bubblegum lip scrub in the past and am currently using Mint Julips so really had no need to pick this one up but I didn't see any harm in it. This way you can alternate between different flavours and you won't get bored. The Kiss smells very fruity and is actually made with sea salt as well as the usual sugar, so it has that mouth-watering, sweet and salty taste. It also boasts hundreds and thousands and tiny edible hearts in the mixture for added cuteness factor. I really like the Lush lip scrubs, they exfoliate effectively and taste delicious. Since I'm all about the lip care in the colder months, I also picked up this coordinating lip gloss. After trying it out I'd say it's more of a tinted lip balm in both consistency and appearance. It's extremely moisturising on the lips, not sticky at all, and adds a healthy, rose pink sheen. It has the exact same scent as the lip scrub and it isn't as hard and waxy as Lush's other balms so it's easier to transfer with your finger from the tin to your lips. First of all, can we just take a moment to appreciate how gorgeous these two products are? Love Locket has a strong, floral scent that will fill up whichever room you have stored it in. It's also quite big compared to the size of their other bath bombs and apparently if you crack it open, there's another smaller heart inside so it's ultimately good for two baths. I totally forgot to investigate this and chucked the entire thing in, all in one go. Oops. 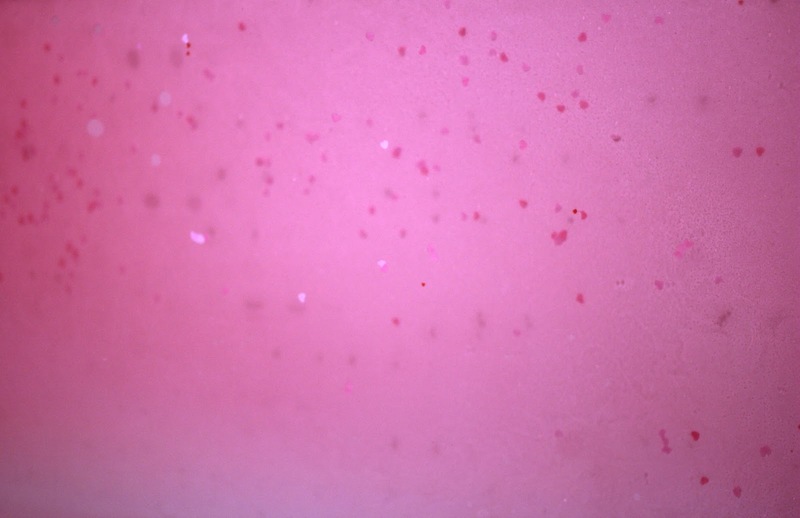 After fizzing away, you are left with soft pink bath water and little agar hearts floating around, which I think is so adorable. The Unicorn Horn smells like lavender and upon holding it against the running water, fills the bath with thick bubbles. It's more of the crumbly type so won't last as long as the bubble bars on sticks. I really enjoyed all the Valentine's Day products I got this year and might even repurchase the bath stuff before they're no longer available. I was tempted to get their heart shaped bubble bars as well but I had a bad experience with one of their glitter bath melts not too long ago (it got everywhere and stuck around for days) so I'm veering away from any sparkly products for now. 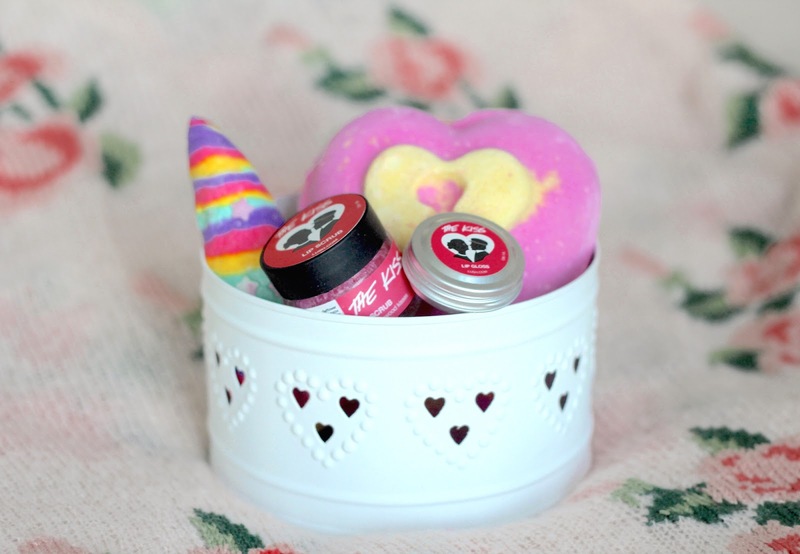 Have you tried anything from Lush's Valentine's Day range? Which was your favourite? Oh wow. I usually don't do that bath bombs, but the love locket looks like one that my niece would enjoy. I'll have to pick up a few for her, before their Valentine's Day collection is gone! Lush is such a great place. I use their skincare products and my skin has been thanking me greatly for it lol. All of the new lush range looks so good, I really want to try the Unicorn Horn!